Opticon are committed to providing excellent customer ser-vice and provide OptiCare packages carefully chosen to meet your requirements. 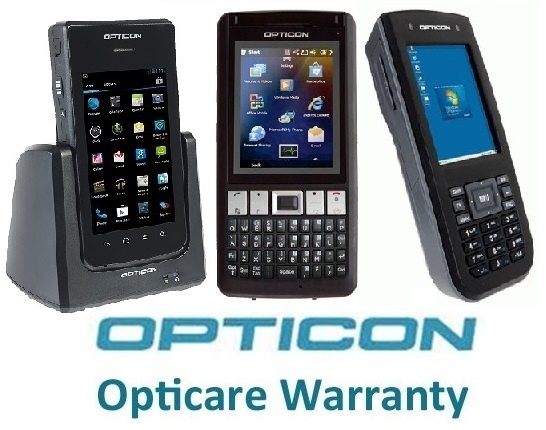 The OptiCare packages provide cover for a wide range of Opticon devices. Our policy offers support for a full 24 months from date of purchase for all our UK customers. Cover includes Accidental Damage, Warranty Failure, and Two Screen Replacements with a guaranteed 3 working day turna-round. Supports a 3-working day turnaround and cover includes the damage of 2 LCDs during the 3-year period. Exclusions apply, see full list below for complete details. • Unauthorised tampering or modification of the equipment. • Use of the equipment for anything other than the use for which it is designed. • Misuse, abuse, neglect of the equipment including fire and flood. • Malicious damage to the equipment. Opticon reserves the right to classify each repair upon inspection.